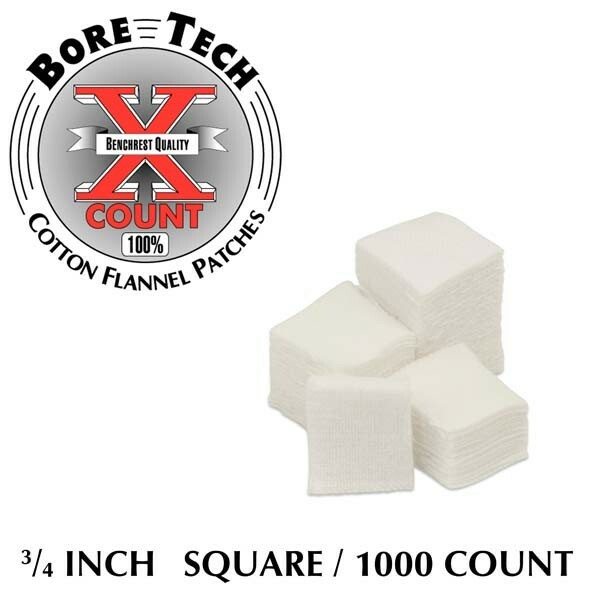 Bore Tech’s X-Count™ Patches are the highest quality, 100% cotton flannel, double napped, non-fraying, American made patches on the market. Trusted by precision shooters worldwide, our patches have a reputation for superior consistency, maximum solvent absorption and cleaning ability. X-Count™ Patches come in a variety of square and round sizes to allow a proper fit depending on cleaning styles and preferences. 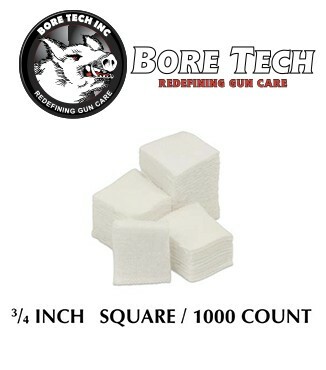 All patches are sized to correctly fit the recommended calibers and are able to be used with a variety of jag types. Packed in hangable and re-sealable plastic bags for convenience, X-Count™ Patches are available in bags of 100, 250, 500, and 1,000 quantities.